Should you tip people or expect tips for services in New Zealand? Oh, tipping: the biggest culture divide in the world. Maybe that is an overstatement but where some countries require you to tip everyone and everything, others simply don’t expect tips at all. For New Zealand, paying someone a little extra for their service is not customary, but it is at the customer’s discretion. In this quick guide, here’s everything you need to now about tipping in New Zealand. For more information about paying for things in New Zealand, you’ll find this New Zealand currency article helpful. Tipping is not customary. You get a taxi into town, finish a meal at a restaurant, or get a haircut: you do not have to give a tip. The lady or gentleman who provided the service is not expecting it from you. People in New Zealand on a working holiday visa who find themselves in hospitality jobs should not rely on tipping to add to their wage. You will get a good wage to start with, so you won’t need tips to live. If you thrive off tips, then you are more likely to get them from the tourists who don’t know the custom in New Zealand. So head for super touristy destinations. Although it is not customary to tip in New Zealand, New Zealanders give tips for exceptional service – if they feel the person carrying out the service really deserves it. This is more often found with cafes, restaurants and concierges. How much money is given is up to the one giving the tip, but it is usually around 10% of the meal or service’s value. Who can you give a tip to? Whether you are working as one of the following or if you’re feeling generous, these are some services that sometimes receive tips. Tipping in a cafe or restaurant usually means just leaving some spare change. There’s sometimes a tip jar to leave change in. Otherwise, leave some extra money with the bill. It’s quite typical to leave your change with the driver just to make the process easier, but, again, don’t feel obliged. First of all, look at you, flashpacker, staying in a hotel! You can tip your concierge around NZ$3-NZ$5 if they carried out an amazing service, but it is not expected. Only if they give you the haircut of a lifetime. Otherwise, there is no need to leave a tip. It’s worth noting that on public holidays in New Zealand some cafes and restaurants have an additional 10-15% fee added to the menu prices. This fee is to cover the higher wages that the employer must pay their staff on a public holiday by New Zealand law. If you are in New Zealand on a work visa or working holiday visa, and are in employment, your wages do not rely on tips in New Zealand. The minimum wage in New Zealand is quite high in comparison to other countries, so even on a minimum hourly wage, you should be making enough money to get by and not rely on tips. Take a look at this guide to New Zealand Working Holiday Employment Rights so you understand what you are legally supposed to be paid for. However, you can accept tips if they are given to you. 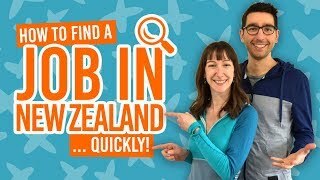 If you do want to get a little extra money through tipping, then we suggest you get a job in areas of New Zealand that receive a high volume of international tourists, such as Queenstown and Auckland.